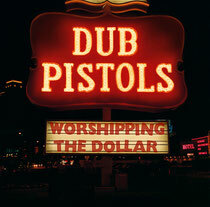 Dub Pistols return with their fifth album ‘Worshipping The Dollar’. Barry Ashworth and his crew created their latest long-player in between gigs every weekend following the release of acclaimed 2009 album ‘Rum & Coke’. ‘Worshipping The Dollar’ sees a return to lyrical themes explored on earlier albums with deeper and more conscious lyrics and a pacier feel to the tracks, which mirrors their increasingly frenetic live shows. The title of the album is taken from a track voiced by Akala, Ms Dynamite’s brother. “Living in squalor, worshipping the dollar, there is no flag large enough to wrap around the horror” — so runs a key lyric on the anti-war song ‘West End Stories’. Other highlights include the return of UK hip-hop’s Rodney P, who has become part of the Dub Pistols extended family over the years, on a couple of the album’s drum & bass tracks: the firin’ ‘Gunshot’ and ‘Mucky Weekend’. Other guest vocalists include Lindy Layton, formerly of Norman Cook’s chart-topping Beats International project (guesting on ‘Rocksteady’ with Rodney P); reggae legends Red Star Lion (Barbados) and Dan Bowskill (London); plus regular Dubs MCs TK and Darrison. During the album sessions, Dub Pistols also recorded the title music for the new Rob Lowe movie ‘Knife’s Edge’, written by Bill Clinton’s former spin doctor Chris Lehane. 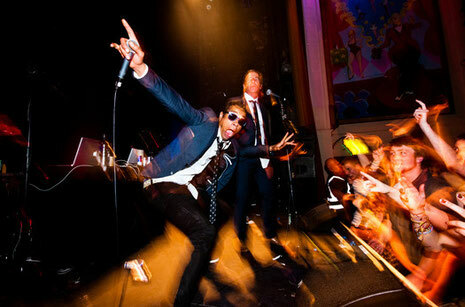 From their early beginnings as a soundsystem project, Dub Pistols have grown into a live band. Their infectious blend of ska, dub, hip-hop, electronic music and punk has won them many fans around the globe over the past 15 years and, following sold-out shows across Europe, they were voted the Best Live Act at DJ Mag’s Best Of British Awards at the end of 2011. Lots of live shows are booked in the diary this year including an album launch at The Electric Ballroom, Camden on 11th May.